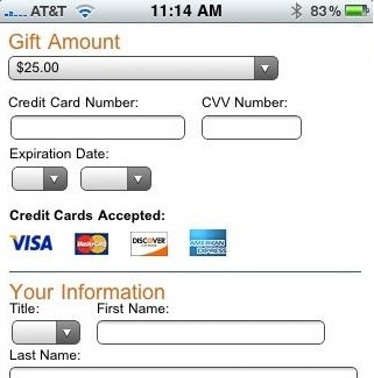 This download contains instructions and a code sample for using Convio's Donation API to create a donation form that is optimized for mobile devices like the iPhone. Creating this form will require a moderate level of technical knowledge and comfort with editing raw HTML. For those organizations needing assistance, Convio offers a low-cost Services engagement to implement a mobile-friendly form. Contact your Account Manager for more information. This HTML document contains step-by-step instructions for setting up your mobile-friendly donation form.